Israeli man who advocated anti-Arab violence on Facebook following murder of 3 Israeli teens in 2014 sentenced to half a year in prison. The Ramle Magistrate's Court on Thursday sentenced Eliyahu Eliav Moallem to six months in prison for incitement to violence and incitement to racism over his social media posts. Moallem published calls for acts of violence against Arabs on his Facebook account, as well as praise, sympathy and encouragement for such acts. He also wrote racist statements of persecution, humiliation, contempt, and hostility towards Arabs because they are Arabs. The indictment was submitted with the approval of the Attorney General, as required by law, in light of the nature of the offenses that relate to freedom of expression. According to the amended indictment under which Moallem was convicted, as well as his confession, he made the posts in response to the kidnapping and murder of the teenagers Gilad Sha'ar, Naftali Fraenkel and Eyal Yifrach in the summer of 2014 by Hamas terrorists. The kidnappings lead to an escalation with Hamas which culminated in Operation Protective Edge, a 50-day military campaign in which terrorists in the Gaza Strip launched thousands of rockets at Israel and attempted to use tunnels dug under the Gaza border to infiltrate Israel and carry out terrorist attacks. During this volatile period, 17-year-old Muhammad Abu Khader was abducted and murdered by a group of Israeli youths in retribution for the murders of Sha'ar, Fraenkel, and Yifrach. As the violence escalated, Moallem praised the murder of Abu Kahder and published direct calls for acts of violence and terrorism against Palestinian Arabs and Israeli Arabs wherever they may be, as well as other hostile publications aimed at incitement to racism against them. He also published direct calls for violence against Israeli Arab MK Hanin Zoabi, who stated at the time that the Hamas members who kidnapped the three Jewish teenagers were not terrorists, as well as calls for violence against left-wing Israeli Jews. The indictment listed numerous quotes from Moallem which prosecutors stated constituted incitement, i including calls for "a price tag, and this time not only with graffiti ... go kill without checking who the person is, but without being caught", "a good Arab is a dead Arab," "Death to the Arabs! ", " ... proud to be an Israeli...after we leave no Arab living in the world ... ". On the day that Abu Khader was murdered, Moallem made a number of posts praising the act: "Very good ... for the next Arab murder ..." "Death to all Arabs ... Jews unite! That the murdered man was also 16 years old, we hope that the next Arabs who are murdered will also be of smaller ages;" "Death to Hanin Zoabi ... Your friends will honor her and take her to my house ... I will take care of her;" "The leftists will die before the Arabs!" "Men should take the law into their own hands and start slaughtering ..."
The court noted with severity that "Sometimes the written word can be more offensive than the deed. In the modern technological world, the offenses do not require the effort of investing - there is no longer a need to move your feet to print written material, to photocopy it, to send it, to exchange e-mails, but rather to have a computer connected to a network and keyboard. 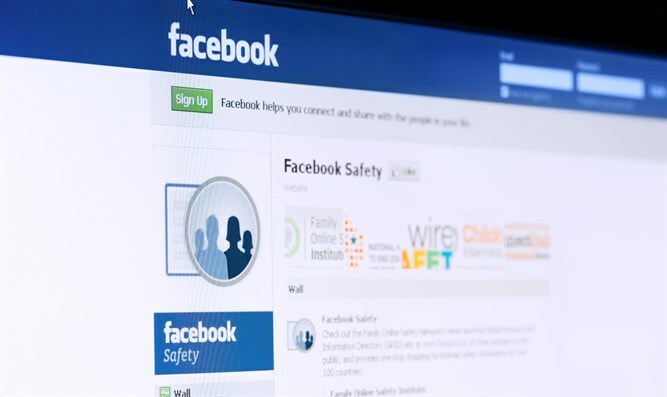 In these days, there is a clear punitive interest in deterring the individual and deterring many, given the ease and spread of advertising on the Facebook network. At the time when each key is clicked, the advertiser becomes a public figure." On the other hand, the court noted the delay in the filing of the indictment and the long time since the acts, the defendant's immediate confession and expression of full regret, as well as the positive processes that have passed since then. Despite this, because the defendant was found unfit for community service, the judge decided to sentence him to six months in prison.